Perfect for shipping or storing small, shock-sensitive items. 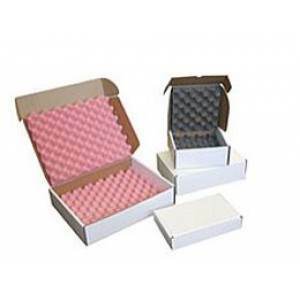 Each rugged EzeeShip'r crush-resistant convoluted foam-lined box (compression pack) includes a lock tab box and an installed interlocking set of thick egg crate polyurethane foam. Non-abrasive foam fingers in each foam shipper cushions and gently cradles fragile objects, while firmly holding them securely in place.